For all of our Languages and Cultures students a period of study or work abroad will be compulsory. Whether or not you'll gain work experience on your time spent abroad, you'll be able to take advantage of the many opportunities available at Leeds to gain valuable work experience. If you are taking a languages and cultures joint honours with French, German, Italian, Portuguese, or Spanish, you may have the opportunity to undertake a work placement on your year abroad. If you choose to take a work placement year you will spend 9 to 12 months in your hosting country. If you undertake a work placement in France, the French Convention de Stage is for 6 months, so you'll either undertake two internships, or combine a work placement internship and a study placement. You can secure a work placement by identifying your own opportunities or applying for one that draws upon University of Leeds contacts. 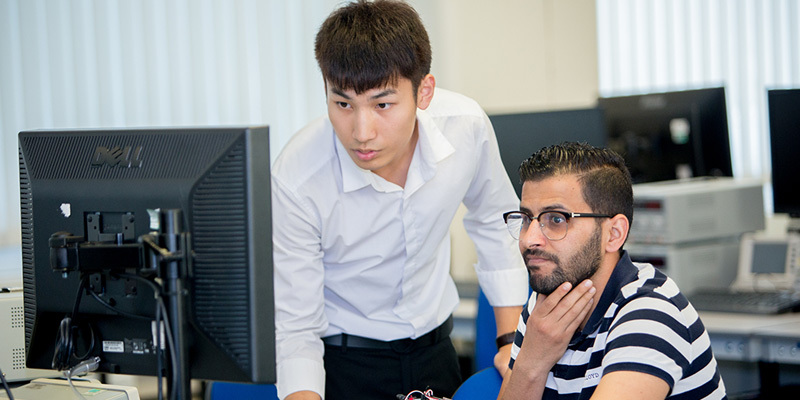 We communicate current placement opportunities to you and provide you with the details of companies that have provided placements for LCS students in the past. The University has links with a variety of organisations across the public, private and voluntary sectors in the UK and overseas. You'll also be able to network with returning fourth-year students to ask about opportunities, their experiences and general advice for finding the right placement. If you are taking a languages and cultures joint honours degree with French, German, Italian, or Spanish, you may have the opportunity to spend 9 months in your hosting country as a British Council Language Assistant, teaching English as a foreign language to secondary school students under the supervision of the resident English language teacher. If you are taking BA Languages and Cultures, you'll spend a year in one country and a term in the other depending on the options available for your particular language combination. If your language combination includes French, German, Italian, Portuguese, or Spanish, you might also have the option of applying for a work placement for your term abroad in a country where one of these languages is spoken.